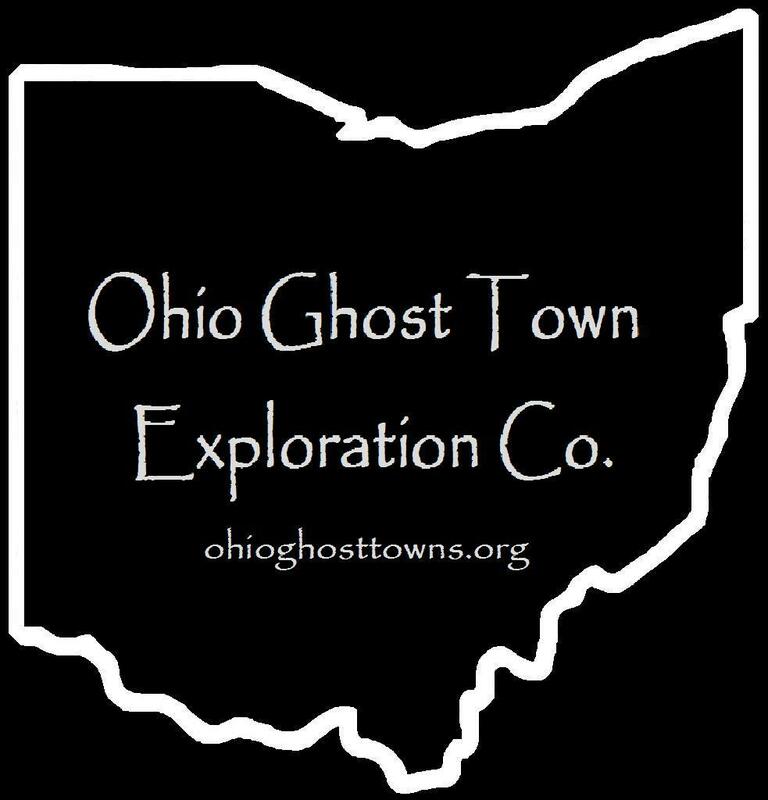 Licking County – Ohio Ghost Town Exploration Co. Description: It was listed in The Ohio Gazetteer And Traveler’s Guide from 1837 – 1841 as a village in the county. Description: Belfast was listed in the 1876 Centennial History Of Licking County, Ohio as a “virtually extinct village”. Description: The town was founded by Joseph Blanchard (1770 – 1859) & Nancy (Waite) Blanchard (1772 – 1851). They were born in Massachusetts, had several children, & moved to Ohio from Maine in 1818. Joseph & his 4 sons owned a wagon shop & built other wooden necessities such as spinning wheels & chairs. Blanchard had a school (Granville Township No. 8) on the west side of SR 661 on land owned by the Gates family prior to its last school built on the east side of SR 661 which is now a private residence. Joseph & Nancy were buried with relatives in Old Colony Burying Ground on S Main St in Granville. The cemetery is an impressive site to explore with many early county pioneers & war veterans laid to rest there. Description: It was along the Licking River approximately 5 miles east of Newark & had a church. Description: Canonsburgh was about 3 miles north of Newark on the south bank of Dry Creek (formerly part of Brushy Fork). Description: Central City was at the junction of the Pittsburgh, Cincinnati, Chicago, & St. Louis Railroad & the Toledo & Ohio Central Railroad in the late- 1800s to early-1900s. Description: Cook Settlement was established around 1815 & preceded Appleton as a village. It was founded by War Of 1812 veteran Captain Isaac Cook (1780 – 1856) & Titus Knox (1784 – 1866). The village served as a stopping point in the southern portion of the township for traveling settlers. Some stayed & some moved on. Titus Knox & Carey Mead platted Appleton next to the site of Cook Settlement in 1832. They named it after Appleton Downer who was a successful lawyer from Zanesville & owned much of the land in the township during its early years. Appleton didn’t get any population booms & was never a large town, but continues to maintain its existence. It also has a few stories of the past to tell, which are quietly held in the walls of some of the old buildings around town as well as in the county history books. Captain Cook was buried in Chestnut Grove Cemetery on Grove Dr in Ashtabula, Ashtabula County. Titus Knox was laid to rest in Sunbury Memorial Park on West Cherry St in Sunbury, Delaware County. Description: The original proprietors were Zenas Denman (1791 – 1871) from Sussex County, New Jersey & Jane (Smith) Denman (1799 – 1874) from Frederick County, Virginia. They were married in 1816, had a nice farm, & several children. Although the family was living at the crossroads for several decades, the town wasn’t listed on a map by its name until the 1875 county atlas. It was mentioned in the 1881 county history book & had a general store, blacksmith shop, & a shoe shop at the time. The store opened in 1857 & was owned by Lucius Hoyt (1835 – 1910) & Isabella (Denman) Hoyt (1841 – 1896), a daughter of Zenas & Jane. In the 1880s, the town also went by the name Cooksey, matching the post office in the store with Lucius being the postmaster. Its unknown exactly how & why the Cooksey family received that honor, but they were rising in prominence as industrious farmers. After the post office closed, the town started going by the name of Reform around 1900. Zenas & Jane were buried with relatives in Hanover Cemetery 5 miles south of town on the north side of Rock Haven Rd NE. Lucius & Isabella were buried with relatives & other early residents in Smith Chapel Cemetery. The church is still in operation & Reform is a currently populated place which pops up on Google Maps. Description: Founded by the Etnier family in the county, the town had a post station on a pony express line running along the National Road in 1836 – 1837. Mail was run by 2 carriers through this portion of Ohio, one from Zanesville to Etniers & the other from Etniers to Columbus with fresh hoses spread out every 5 miles. Sometime between publication of the 1854 county map & 1866 county atlas, Simeon Etnier (1814 – 1881) from Pennsylvania, enlarged the family farm from its previous 60 acres to 260 acres on the southeast side of the GPS coordinates. The Hocking Valley Railroad (later bought by the Newark, Somerset, & Straitsville Railroad & eventually the B & O) rolled through the area for many decades. The former train station was called National Road & is now a private residence & the T. J. Evans Recreational Trail starts there & heads north on the previous railroad bed. After Simeon’s death, the town started going by the name of Atherton & had a regular post office. The first postmaster was James Oliver Davis (1841 – 1902). He was succeeded by a son, John Franklin Davis (1869 – 1939). They were buried with relatives in Fairmount Cemetery about 3 miles east of the GPS coordinates at the intersection of US 40 & Fairmount Rd. Atherton still a populated place & is listed on Google Maps. Simeon was buried with relatives in Jacksontown Cemetery 2 miles northeast of the GPS coordinates on the east side of SR 13 (Jacksontown Rd). Description: Exeter was listed in the 1876 Centennial History Of Licking County, Ohio as a “virtually extinct village”. Description: The proprietors were brothers from Virginia, George Green (1779 – 1862) & Charles Green, who were the first settlers in the area. They purchased what was Raccoon Town along Raccoon Creek from a group of Wyandot Native Americans in 1807. Early pioneer Elizabeth (Barler) Kasson (1799 – 1868) from Shenandoah County, Virginia was the first postmaster. She married Daniel Kasson (1801 – 1884) from Luzerne County, Pennsylvania in 1819 & had 11 children. Daniel Tippet (1813 – 1883) from Maryland was the next postmaster. His wife Elizabeth Tippett (1820 – 1899) took on the position after Daniel passed away. The former school on the south side of the GPS coordinates was pinpointed in the 1875 county atlas & was constructed on land owned by James Hill (1853 – 1871). Everyone mentioned in this listing was buried in Green Hill Cemetery 3 miles southeast of the GPS coordinates on the south side of SR 37. Description: Idlewilde Park was on the grounds of Newark Earthworks. James F. Lingafelter (1859 – 1924) leased the site from the Licking County Agricultural Society & opened an amusement park called Idlewilde Park in 1898. Over the years, the park contained a theater, dance pavilion, bowling alley, a Ferris wheel, roller coaster, & several other attractions. It became a resort with a hotel & restaurant along with 4 ponds for boating & swimming. The park had a stop on the Newark Consolidated Electric Railway interurban line, which also connected to Buckeye Lake Amusement Park about 9 miles to the south. James Lingafelter was guilty of shady business dealings & was prosecuted for forgery & embezzlement. The park went into new management & the name changed to Rigel Park. It couldn’t compete with Buckeye Lake Park though & eventually closed. The agricultural society deeded the site to the county in 1927 & the county deeded it to the Ohio Historical Society in 1933. The state historical society restored the earthworks as much as possible. It became a National Historic Landmark in 1964. James Lingafelter was buried with relatives in Wilson Cemetery on SR 657 (Marion Rd NE) on the north side of Newark. Description: It was named after a branch of the Kibler family in the county. Description: It was founded by a branch of the Livingston family in the county & was mentioned in the 1876 Centennial History Of Licking County, Ohio as a “virtually extinct village”. Description: Lockport was platted along the Ohio & Erie Canal in 1830 by former county surveyor James Holmes Jr. (1785 – 1848) from Pennsylvania & Corrington Searle (1790 – 1865) from Connecticut who was the mayor of Newark in 1829. It was named after the town’s canal locks, had a school, mill, & grocery store, & was also on the Pittsburgh, Cincinnati, Chicago, & St. Louis Railroad. Lockport still appeared on maps as a separate town in the early 1900s, but was eventually annexed into Newark. James Holmes Jr. was buried with relatives about 9 & 1/2 miles southwest of the GPS coordinates in Luray Cemetery on the south side of Refugee Rd SW. Corrington Searle was buried with relatives in Woodlawn Cemetery on Pershing Rd in Zanesville, Muskingum County. Description: The proprietors were neighbors who lived across the intersection from each other. John J. Edwards (1831 – 1907) & Julia Ann Edwards (1833 – 1863) owned a 110 acre farm on the north side of the intersection & donated land for Long Run Church around 1856. Julia tragically died just 4 days after the death of her last child, having at least 2 sons who departed this world before her as toddlers. Early pioneers James Wilson Colville (1795 – 1878) & Leah (Baker) Colville (1800 – 1886) owned a 156 acre farm on the south side of the intersection. They were both born in Virginia, married in Ohio in 1827, & had at least 8 children. James was the town’s first postmaster. The Edwards & Colville families were buried in Souslin Cemetery 2 miles southwest of town on the west side of Baker Rd NE. Elza Dush was the second postmaster & Charles Baker was the town’s last postmaster. Description: David Moore from Pennsylvania arrived in Licking County in 1808. He operated a general store in Newark was the postmaster there from 1809 – 1818. David already had the idea of smelting iron in the future when he built a saw mill along Rocky Fork in 1815. The following year, he began construction of a cold blast furnace & a grist mill to accommodate workers & residents. David invited the few neighbors there was back in those days to celebrate the completion of the furnace, which he named after his wife at the time. War Of 1812 veteran Abraham Claypool Wilson (1776 – 1830) christened the furnace in with the flinging of a whiskey bottle against its side & later that year the newly formed township went with the name of Mary Ann as well. The town surrounded the intersection & was home to dozens of workers who held jobs in various industries related to the furnace operations. The furnace switched to steam in 1847 & continued operating for several more years. One of the main goods produced with the quality iron was Mary Ann Stoves which were extremely popular in the early to mid-1800s & used to heat hundreds of buildings such as schools, bars, churches, & some homes. Pots, pans, & kettles were a few of the smaller items produced with the furnace’s iron. Unfortunately, the genealogy on the Moore family is sketchy, to put it mildly, & we must skip over to avoid passing on any incorrect information. Description: Joseph Mather was the town’s first postmaster. He was succeeded by Abraham D. Larason (1814 – 1886). Abraham was buried with relatives in Martinsburg Presbyterian Cemetery on US 62 (N Market St) in Martinsburg in Clay Township, Knox County. Description: Moscow was platted in 1830 by Daniel Green (1791 – 1857) from Allegany County, Maryland & one of his brothers, William Green (1799 – 1855). They were sons of the first settlers in the county, Revolutionary War veteran Benjamin Green (1755 – 1833) & Catharine (Beem) Green (1760 – 1821), who arrived in the area in 1800. Moscow’s plat was in the southwest side of the GPS coordinates between Mill Dam Rd & South Fork Licking River. Daniel built a grist mill around the time Moscow was founded & later built a saw mill. The town was last listed by its name in the 1866 county atlas & was described as “nearly passed away” in the 1881 county history book. Daniel was buried with his parents, wife Elizabeth (Pitzer) Green (1796 – 1860) also born in Allegany County, Maryland, & other relatives in Beard – Green Cemetery about 4 miles northeast of town in Dawes Arboretum. William’s first wife was Sarah (Pitzer) Green (1804 – 1828). She was born in Ohio, a sister of Daniel’s wife Elizabeth, & was also buried in Beard – Green Cemetery. William moved out of Ohio & was buried with relatives, including his second wife Eliza (Brown ) Green (1808 – 1865), in Rochester Cemetery on Cemetery Rd off of SR 38 in Cedar County, Iowa. Description: It grew up with the string of towns along the National Rd & was listed as a platted town in the 1854 county atlas. The plate was in the northeast corner of a 126 acre farm owned by Benjamin Orr (1799 – 1855) from Fayette County, Pennsylvania & Sarah (Dusthimer) Orr (1800 – 1887) from Loudon County, Virginia. Mount Hope later lost its status as a town & was mentioned as a “virtually extinct village” in the 1876 Centennial History Of Licking County, Ohio. However, the community continued to go by the same name for several more years as it was about halfway between Linville & Brownsville. Benjamin & Sarah had at least 5 children & were buried with relatives 4 miles west of town in Fairmount Cemetery at the intersection of US 40 & Fairmount Rd. Description: The town was listed in the 1876 Centennial History Of Licking County, Ohio as a “virtually extinct village”. Description: James Shannon (1810 – 1899) & Summerfield (Priest) Shannon (1812 -1897) founded Oberlin around 1856 when they opened a general store next to Rocky Fork near the intersection. James was a butcher by trade & also tried to get a post office in the store, but that never happened. Letters were unofficially left there for resident to pick up though. The store went into new ownership a few times, was destroyed by fire in 1880, & subsequently rebuilt. Oberlin also had a small grist mill & a blacksmith shop. James & Summerfield had at least 6 children & were buried with relatives 5 miles southeast of the GPS coordinates in Souslin Cemetery on the west side of Baker Rd NE. Description: It was in the northwest portion of the township with Jacob J. Row (1839 – 1896) as postmaster. He was buried with relatives in Franklin Township (Saint John Church) Lutheran Cemetery on Linville Rd SE along Swamp Run between Cotterman Rd SE (Township Hwy 301) & Flint Ridge Rd (Co Hwy 312). The area was first settled by Tomas Meek (1799 – 1864) who opened a blacksmith shop sometime around 1840. He is probably buried in Meek Cemetery on the south side of McDonald Rd, about 7/10 of a mile east of SR 79. Minor McQueen (1785 – 1867) & Sarah (Normam) McQueen arrived next. They were buried in Fallsburg Cemetery on Church St off of SR 79 along with several members of their family. The town of Fallsburg was never laid out or platted, but most of it was built on land that was owned by Silas Bland (1799 – 1882) & Harriet (Cooksey) Bland (1808 – 1886). They were both buried in Perryton Cemetery on Pinewood Trail Rd off of SR 586, about 5 miles south of town. In its early days, Fallsburg also had a saloon, grocery store, shoe shop, & the first Baptist church was built in 1835. The post office ran from 1839 – 1907 & dropped the “h” from the town name in 1892. A saw mill was constructed around 1840 next to the Wakatomica Creek & later purchased by William Harrison Gregg (1827 – 1901) & Mary Jane (Hull) Gregg (1833 – 1920). They added a grist mill & in 1881 a covered bridge was built on the east section of Frampton Rd off of SR 586 to make crossing the creek easier. It was rebuilt after an arson fire by teenagers in the 1950s. Today it goes by the names of both Greggs Mill or Handel Covered Bridge. The last school in Fallsburg was constructed in 1938 but now sits abandoned on SR 586, just a couple of buildings to the south of SR 79. There are also some members of the Meek family & other early families from the area buried in Fallsburg Cemetery on Church St. This small town was originally named Hog Run, due to the fact that hogs from local farms would run away to the area at certain times of the year because of a large abundance of beech nuts & acorns. One of the hogs was owned by John Ward (1816 – 1895), who most of the locals started to call “Hog” Ward. Some of the other hogs were owned by Issac Stadden (1770 – 1841) & his wife Catherine (Kleiber) Stadden (1780 – 1870). On the Stadden’s land was said to be orchards planted by Johnny “Appleseed” Chapman (1774 – 1845) as he had passed through & reportedly did some planting while he was there. Catherine Stadden firmly denied this. She brought three apple tree saplings from Pennsylvania when her family made the move to Hog Run & claimed that most of the orchards in the Licking Valley were from her good trees & seeds. Catherine bitterly disliked Johnny Appleseed & called his trees “shabby saplings”. Many historians however discount her statements & still claim that Johnny did the majority of the planting on the Stadden’s land. Hog run later got the name of Fleatown when a traveler stayed a night & said that’s what it should be called. It was never incorporated though & didn’t have a post office. Fleatown’s Friendship Church was organized in 1811 & many of the residents were buried in Fleatown (Friendship) Cemetery at the southeast corner of SR 13 & White Chapel Rd. Issac & Catherine Stadden were buried at Bowling Green Cemetery on Marne Rd off of SR 16 on the east side of Newark. Homer was laid out in 1816 by John Chonner (1776 – 1853) & Mary Chonner (1775 – 1854). The town was originally named Burlington, but that changed when the post office was established to avoid confusion with the township name. There wasn’t much in the area at the time except for a few log cabins built by early residents of the township. The only roads through town were old hunting & trapping trails that were blazed by natives of the Shawnee, Wyandot, & Delaware tribes. 7 mounds & several earthworks attributed to the ancient Adena tribe were discovered in Homer’s vicinity, & a “giant” skeleton was found in a creek bank that was excavated in 1824. The local natives stated they knew about the earthworks, but had no other knowledge of the ancient tribe which had long since disappeared. John Chonner was a veteran of the War Of 1812 & enlisted in the Ohio Militia, serving as a 2nd Corporal in a mounted company. After the war, he constructed the first saw mill & first brick house in Burlington Township & also kept busy with farming. In 1823 Owen Owens, who was a preacher from the Welsh Hills Church on Hog Run, established the first church congregation in Homer. Services were held in log cabins & log schoolhouses. Later that same year, James Houck (1873 – 1883) expanded the town’s west side with plots of his farm up for sale for more residents & businesses. Unfortunately James lost a son, his house, & his farm was ravished by “The Burlington Storm”, a horrendous tornado that rolled through town in 1825. Many other homes, farms, & orchards were destroyed & several lives were sadly lost. Homer grew well in the 1820s – 1840s & had all the imaginable nostalgic charm of a small Ohio town of that era. There was a tavern, 3 hotels, a tannery, 2 physicians, a dry goods store, blacksmith & other small merchant shops. The 1872 Presidential Election put Homer in the national spotlight with the first woman to run for the office. Victoria (Claflin) Woodhull (1838 – 1927), an early women’s suffrage leader & first woman along with her sister Tennessee to open a brokerage firm on Wall Street. Victoria was nominated by the Equal Rights Party. She lost the race against incumbent Republican Ulysses S. Grant & Liberal Republican Horace Greeley, but did receive some votes. Although it was a bustling community in the mid to late 1800s, Homer suffered a bit of a setback having failed to attract a canal or railroad to create a major population increase. It lagged behind while other towns in the county like Granville & Utica were booming. Factories with good manufacturing jobs in some of the larger towns drew residents away from Homer. Some of the local farms were also struggling to keep up with advances in agricultural machinery. The town’s population in they heyday of the 1880s was around 300 with 2 hotels, 2 blacksmiths, a large school, wagon & cabinet shop, 3 churches, & 2 dry goods stores. In the 1890s, Homer seemed to be spiraling downhill, but the discovery of local natural gas led to progress in the early 1900s & the hopeful sentiment, “There is gas at Homer”. The Ohio Fuel Supply Company ran pipes from fields in West Virginia to a station in Homer & a main pipe to consumers all the way in Cincinnati. The jobs created a small boom in town & also helped keep other small businesses running in the 1900s. These days, the Columbia Gas Transmission company still operates in Homer. We have it listed in the small town category, but Homer also has some semi – ghost town remnants. School #2 built in 1909 & #3 built in 1950 still stand on Homer Rd. Both closed in 2008 & are in danger of being demolished. There are several houses that were built in the 1800s around town & a few abandoned homes & businesses. It’s not as busy as it once was, but Homer has proud residents with a past that’s definitely rich in history. John & Mary Chonner were buried in Homer Cemetery on Homer Rd, a large cemetery for a small town, along with James Houck, his family, & many other early settlers & families. 1881 – History Of Licking County O.